I have tremendously enjoyed being a dentist since 1988, and I feel privileged to care for each new patient I meet. I love getting to know everyone and value seeing them on a regular basis, as well as treating them as I would my own friends or family. It is gratifying to be able to change someone’s life literally through improving their smile, eliminating pain, or improving their ability to chew. With all the sedation and relaxation options available now, I’m able to help frightened people get the care they need successfully in a more comfortable, gentle way than ever. Most important, and most fulfilling to me, is creating long-lasting smiles that dramatically improve my patients’ confidence and quality of life. My success finds its basis not only in my own experience and knowledge, but also in that of my colleagues (who have combined experience of more than 150 years! ), and the humble, customized approach I take toward each patient. I see myself as my patients’ advocate by putting them first and focusing on the highest level of care they desire, all the while ensuring the most enjoyable experience possible. I graduated with my Doctorate of Dental Surgery from the University of Minnesota, and then realized my education had only just begun because there are so many exciting technological developments in dentistry! I am an alum of the prestigious Pankey Institute, and charter member of the Seattle Study Club in Northwest Florida. After relocating to this area, I became involved with the Bradenton Study Club, Manatee County Dental Society, Florida Dental Association, and American Dental Association. Along with Drs. Klement, Jungman, Varga, and Troxler, I focus on the latest technologies in dentistry and discuss smile design so we can continue to provide the best, most comfortable dentistry available for you! I grew up in Little Falls, Minnesota (Charles Lindbergh’s boyhood home) and served proudly in the U.S. Navy for six years following dental school. 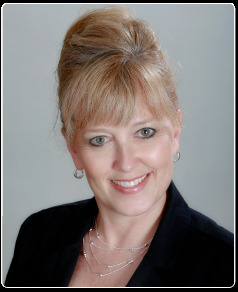 Upon leaving the military, I worked in private practice from 1994-2008, and lived in Florida’s panhandle for 20 years before settling in the Tampa/Bradenton area with my husband Mark. I am a very spiritual person. I desire for each person to live in harmony with God’s amazing plan for their lives. Giving back is important to me, so I have donated free dental care for Mission Smiles and the Good Samaritan Mission in the area. My hobbies include playing golf, riding backseat on our Harley motorcycle, and gourmet cooking. My husband and I enjoy meeting new people, entertaining in our home, and traveling.